An interview with Matt Pines, co-owner and director of Maine Teen Camp with his wife Monique Rafuse, in Porter, Maine. Maine Teen Camp is a Maine Camp Experience Camp. In what ways does a camper “change” or “grow” from summer camp? When you speak to parents they tell you that their child is different after their first summer at camp. They’re more relaxed, they’re comfortable with who they are. One of the most important aspects of the camp experience is building friendships and honing the social skills necessary to maintain these relationships. During the school year there are a lot of distractions that can dilute the amount of quality time spent with friends. If you have homework or a cell phone buzzing with text messages or parents checking in— these distractions can affect quality time. A child who hasn’t had the experience of making friends on their own terms in a place away from home, like camp, might not have that kind of reservoir of self confidence in reserve telling them, “Hey, you’re okay!” Hearing from parents, we know this is the case. Then, when children get older, around 15 and 16, and they’re dealing with a lot of stress during the school year, camp serves as a place for them to decompress. Then they can reset themselves and prepare for the academic year. We often hear about people in the camp world living “ten months for two,” just trying to get through the year until camp. But really what you’re talking about is that camp is so much more than that. Yes, camp is a break, but does it also provide tools to help kids cope with stress throughout the year? Yes! Camp helps kids be successful. Camp gives kids space to learn how to relax, so when they need those skills during the school year, they can access those coping/stress reducing skills and get back to learning. We know stress interferes with learning, and if you live your life just constantly stressed out and without adequate coping mechanisms, you won’t be able to fulfill your potential. The child who is able to access the sources of their stress can eliminate or mitigate these sources by understanding their bodies and what they need: exercise, sleep, healthy eating. They’re active at camp, often moving more in one day than in a whole week at home. Kids get 9 hours of sleep a night! 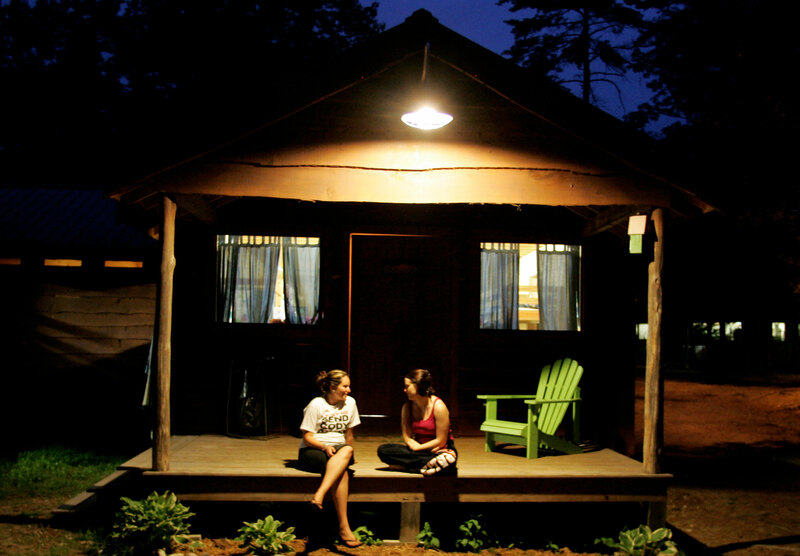 Where but camp do teens get 9 hours a night? Being in nature is profoundly healthy, too. Just to listen to the wind in the trees and the sound of the birds can be really helpful. We need that – that’s how we’re wired as people. How is summer camp in Maine distinct in providing that “back to nature” feeling? I think for a lot of children, Maine holds an air of mystery. It’s not a place that every child has been to. The great thing about Maine is that it’s close enough for many families to drive to, but it’s far enough way so that it’s a totally different landscape. That adds to the experience. We have beautiful lakes and trees and clean water and so many stars. The Poconos or the Berkshires don’t have the same resonance. Maine’s off the radar a bit and it kicks camp up to another level. Looking for the perfect Maine camp for your child? Try out our helpful new tool where you can select a camp by choosing: type of camp (girls, boys or coed) and session length (1-8 weeks). It helps to narrow down a few camps to a manageable list that includes rates. Then you can research these camps in more depth.